…And you thought I was joking. 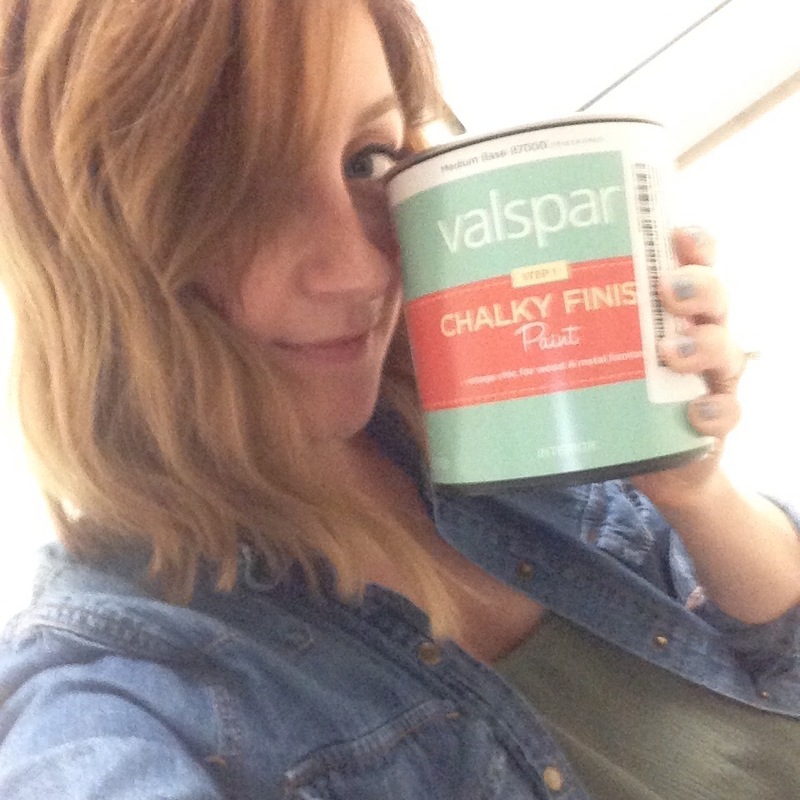 Yes, I went and bought chalk paint at a reasonable hour! And yes, after all that Pinterest searching, I cut my hair off!With all these impending life changes, I’ve been obsessively looking for things to do when I go home. There are A TON of home repairs that we need to get started on but I I also want a steady strong of hobbies to keep me from doubting my life decision. 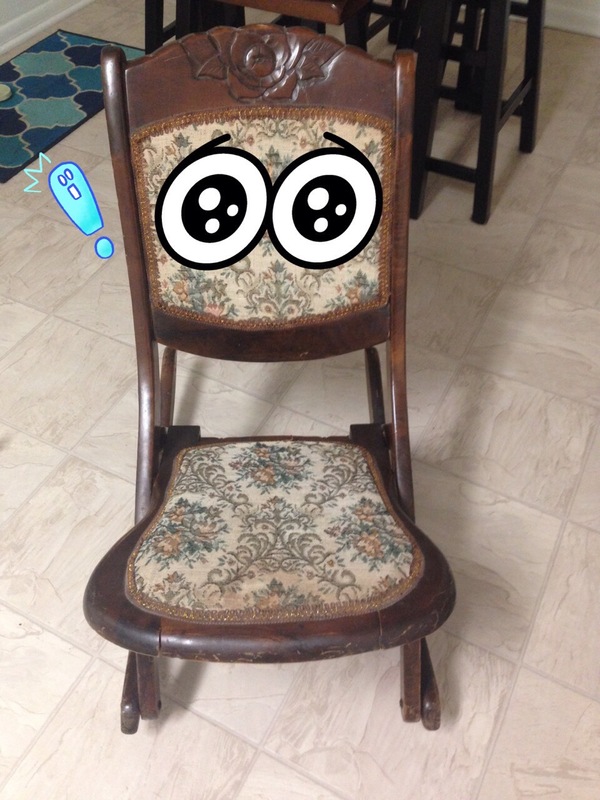 …until I bring home random wingback chairs to reupholster. Ahem. This all started with my sweet husband and his three month long journey to getting an heirloom fixed up and reupholstered for me. The chair really deserves its own post so I’ll save the details for another day. In choosing the fabric for said chair, I started really getting the urge to try and reupholster something myself. Which brings me to the wingback. I had been looking for a chair for a few weeks on Craigslist that would be interesting and comfortable. I also spent many nights watching shaky YouTube videos on how to reupholster chairs by yourself and after the ninth or tenth video I felt confident I could give it a go. The next day I took Wilbur the burrito boy on a thrift store shopping spree and I found the red chair. Now I KNOW that I am not ready to start with this chair. But I haggled and got a great deal on it! It is Wilbur approved! So I made a grumbling Napkin take it home to our forever house where it sits and waits patiently for me to quit my job and get cracking on it. But being the impatient person that I am? I need to do a project NOW. So I am tackling this! This is an old, folding rocking chair that my mom found for me years and years ago at a thrift store. If I remember correctly, she paid five dollars for it. It’s been sitting in the corner of our bedroom collecting dust for ages and so I have decided that I’m going to paint it and reupholster it! 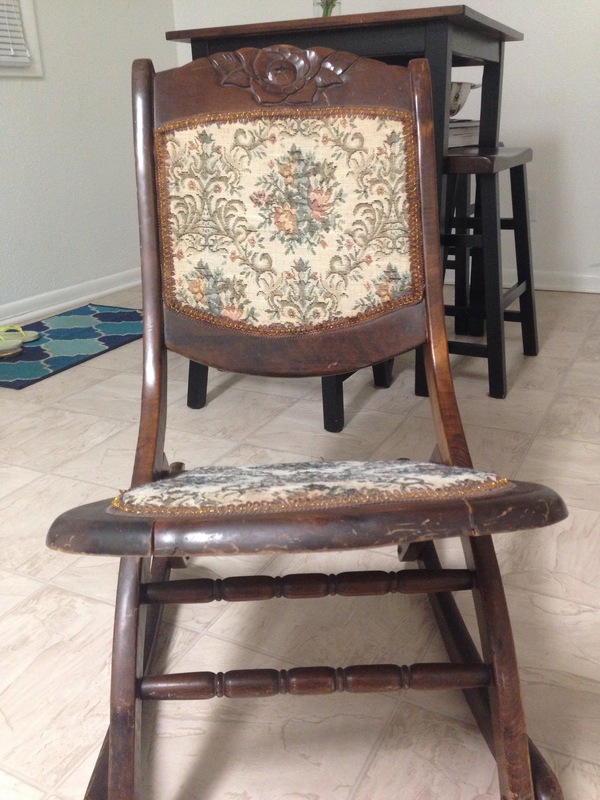 Tags: antique, chair, DIY, reupholstery, rocking chair, thrift store, Wilbur. Bookmark the permalink. Ooh! What a cool chair! Can’t wait to see it finished. Excellent!! I’m eager to see how the upholstering is done- for my own future chair purposes. Can’t wait to see the outcome! !